Homeopathy Awareness? You are not alone if you think that you don’t know much about homeopathy, most people don’t know much about it. However, that is changing. For the last 16 years, the world has had a Homeopathy Awareness Week – and it seems to be working! More and more people across the world are finding out about homeopathy. Homeopathy Awareness Week has many events across the world, be sure to Google Homeopathy Awareness Week and see what is going on near you. If homeopathy is new to you, here are a few simple outlines about Homeopathy Awareness. Homeopathy is a way of attempting to relieve the symptoms of certain conditions, so that the person suffering feels better. Eg; Dandruff. The cause of the dry, scaly skin may not be known by the homeopath, but a homeopathic remedy for dandruff may relief the condition for a period of time. Results vary from person to person. Homeopathy uses the ‘law’ of ‘like treats like’. What that means is this. Lets say you are experiencing hay fever, with watery eyes and a running nose. The homeopath may recommend you take a tiny homeopathic dose of onion. Yes – onion. A dose of Allium cepa, the homeopathic preparation of red onion. 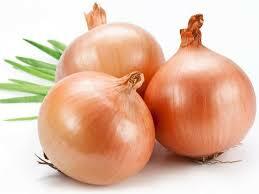 This is because we know that onion causes watery eyes and a running nose. The theory is that if you can ‘trigger’ the body into believing it is in the presence of onion, it will defend itself against the onion. The theory is that you will in fact relieve your symptoms of hay fever by harnessing the natural defense mechanisms in your body. Conventional science says this is not possible as the amount of onion or any other homeopathic substance is so small that it is undetectable. Science says that the only evidence is anecdotal. ie; Some people report that it works and some people report that is doesn’t work. It is up to you. At homeopathicremedyfinder.com we believe that the customer knows best. You can try our formulas for 90 days. If you have not noticed an improvement in your condition – then you should have your money back. No questions asked. If you feel that your symptoms have been relieved, or that you feel better, or that you have noticed some other positive effect from using one of our homeopathic formulas – then that’s great and we look forward to helping you in the future.